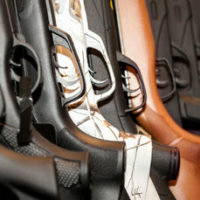 Referred to as machine guns, automatic firearms and similar weapons are highly regulated in Virginia. This stems from the potential danger that these weapons pose to the general public. Armed with a machine gun, a single assailant has the power to harm large groups of people at the same time. To minimize the impact of this danger, Virginia employs strict laws for the possession and use of machine guns. Under Code of Virginia Section 18.2-288, the term machine gun has a specific definition. In Virginia, the term machine gun refers to any weapon that is capable of automatic fire without the need to reload in between discharges. Stated otherwise, the user must be able to discharge multiple rounds with a single pull of the trigger. Conversion of a semi-automatic weapon into a machine gun. A machine gun is in the immediate proximity of empty or loaded ammunition. Under Code of Virginia Section 18.2-290, possession or use of a machine gun for an aggressive purpose is a Class 4 felony. The typical punishment for a Class 4 felony in Virginia includes two to 10 years in prison and $100,000 in fines, either or both. Under Code of Virginia Section 18.2-289, possession or use of a machine gun for a crime of violence is a Class 2 felony. The typical punishment for a Class 2 felony in Virginia includes 20 years to life in prison and $100,000 in fines, either or both. If you have legal questions about machine guns or other weapon crimes in Virginia, it is useful to contact a dependable criminal defense attorney. The attorneys at Simms Showers LLP feature extensive experience in the field of criminal defense, including weapon crimes. If you need legal help with criminal defense, contact us today for a free initial consultation.